Lewis Hamilton has apologised for mocking his young nephew’s princess dress on a video posted to his Instagram. The Formula One driver caused outrage when he posted a video clip to his story feature on Christmas Day, showing him shaming his nephew for wearing a dress. In the now deleted footage, Hamilton could be seen criticising his young relative, (who’s clearly happy), playing with his toy magic wand while wearing a pink and purple dress. I’m so sad right now. Look at my nephew. Why are you wearing a princess dress? Is this what you got for Christmas? Why did you ask for a princess dress for Christmas? Boys don’t wear princess dresses! Unlike Hamilton, the youngster is clearly over the moon with his present, giggling with happiness as his uncle mocks him. 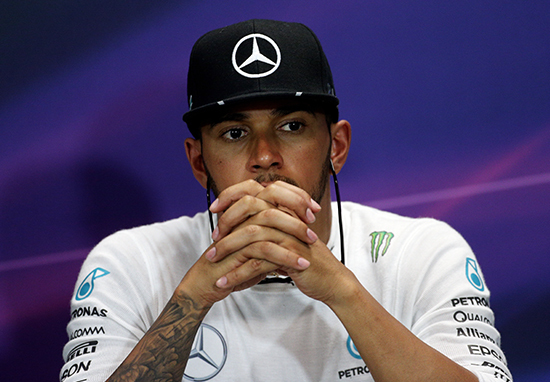 Receiving a social media backlash, Hamilton has apologised for his comments which he now realises were ‘inappropriate’. Yesterday I was playing around with my nephew and realised my words were inappropriate, so I removed the post. The video was initially met with uproar on social media as people criticised Hamilton for both shaming his young nephew in public and reinforcing gender stereotypes. Disappointing to see somebody with such a huge platform use it to publicly shame and attempt to undermine a small child. Lewis Hamilton should be ashamed of himself, picking on a child in public just for being different. No Lewis Hamilton, you’re right, boys don’t. Boys should be aiming to be Queen, not just a princess. Wear that crown and shine! "Boys don't wear princess dresses!" Although Hamilton has said he regrets his comments, people are now questioning how sincere his apology is. Whether you believe his apology is genuine or not, mocking a child for any reason is wrong, especially on a public platform. As is criticising someone’s decision to express themselves as they wish.